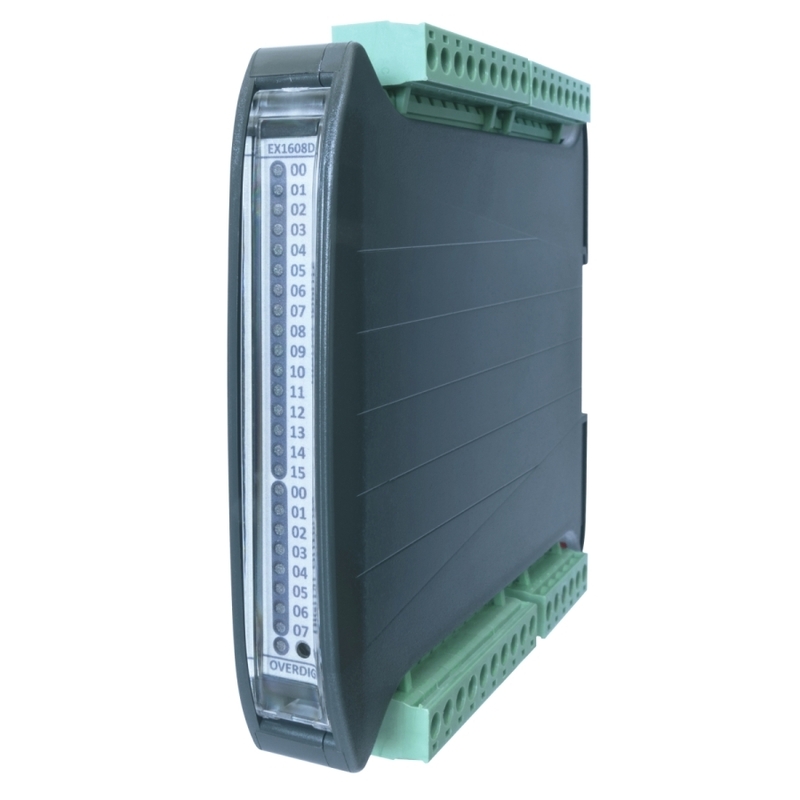 I/O Interface module with digital inputs and outputs controlled via Modbus RTU over RS485 bus at high speed (up to 1Mb/s). Galvanic isolation on the input port and the output port. The static outputs, designed with high current MOSFET, are protected against permanent short-circuit, over-voltage and over-temperature. Ultra compact (only 17.5mm wide) realization with DIN rail mounting. In combination with the compact PLC WP240 allows systems with more than one I/O per millimeter of DIN rail.